Living... in small-town Hawkins, Ind., with her parents and her siblings – her younger brother Mike and her much younger sister, Holly. Nancy was close to Mike when they were kids, but now that she’s in high school they don’t have much in common any more. Profession... high school student. Nancy gets excellent grades and has always been a rules-follower, but that’s starting to change now that she’s caught the eye of Steve Harrington. The charming Steve pursues her hard, and Nancy can’t deny that she likes the surprising attention from the most popular guy at Hawkins High School. Nancy and her best friend Barb have never been in the cool crowd, but Steve can change that almost single-handedly. At least, he can change it for Nancy. Steve isn’t too interested in Barb and she in turn is suspicious of Steve, which is driving a wedge between Nancy and her best friend. Interests... hanging out with Barb and making out with Steve. Though it’s starting to look like Nancy might have to choose between the two. And then Barb disappears after a party at Steve’s house, just adding to the weird things happening in Hawkins. Relationship Status... dating Steve. Well, Nancy says they’re not dating, but it sure looks like they are. Then there’s the quiet and artsy Jonathan Byers, who has a crush on Nancy. It could get messy. Challenge... finding out what happened to Barb. 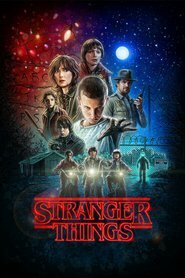 Nobody else seems too worried about Barb’s disappearance, especially since the town is already preoccupied with the vanishing of Will Byers, Jonathan’s younger brother. Nancy and Jonathan soon join forces to look for them both together. Personality... feisty, funny, and determined. Like many girls in high school, Nancy is skilled at eye-rolling and door-slamming. But she’s also smart and perceptive, traits that are helping her navigate the tricky path to adulthood. They’re also helping in her search for Barb. Nancy Wheeler's popularity ranking on CharacTour is #789 out of 5,000+ characters. See our top-ranked characters and read their profiles.